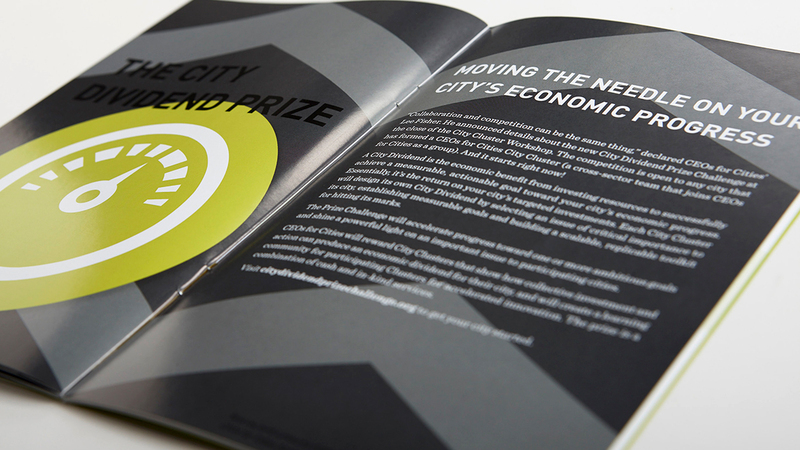 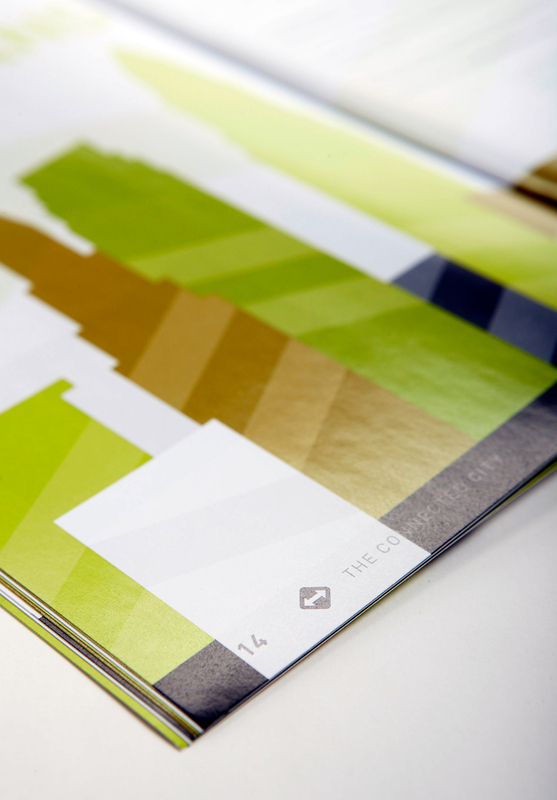 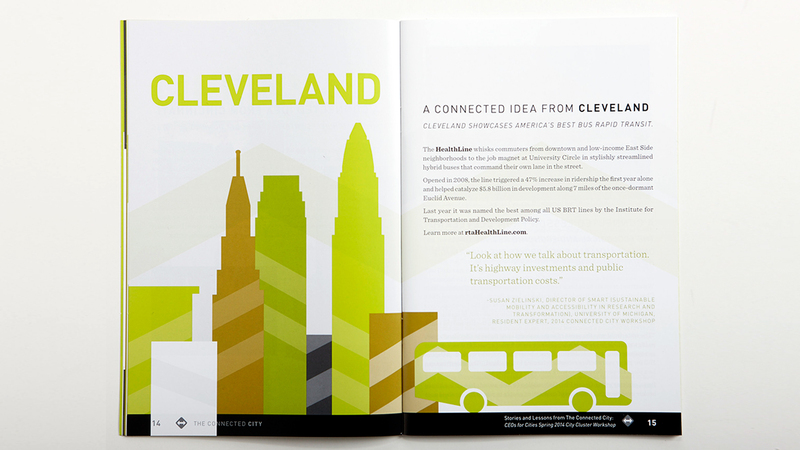 Design LBS created the concept of highlighting pieces of each city in the report with arrow illustrated graphics, to show forward movement. 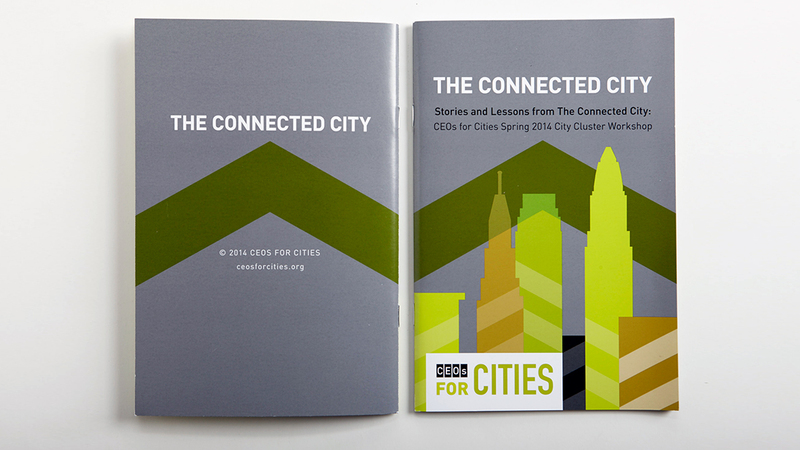 The result is a chevron pattern of cities that grow and connect. 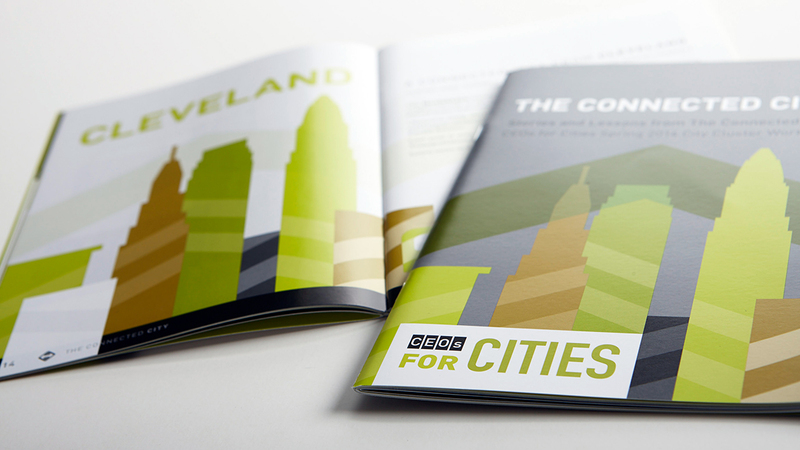 Brand colors used throughout for different cities, with complementary imagery of the city or event in it.